Hulu is a popular American streaming service, allowing its users to gain access to some great quality content from prestigious channels – like NBC, ABC, Fox and CW. If you wish to enjoy streaming of wonderful series, TV shows, films and documentaries without any problem or delay, Hulu can be a great solution for you. However, the access to Hulu content is not worldwide. On the contrary, only people in the United States of America and Japan can enjoy streaming the stuff from Hulu. Thanks to several copyright restrictions applied by countries of the world, a person might be able to access Hulu in the US and still be banned from the same service, as soon as he travels overseas. On the bright side, now, you can overcome the geographical restrictions and all other limitations applied. No matter where you reside at the time, you can benefit from quite a few different methods (SmartDNS, VPN, proxies) and unblock GEO-IP restricted sites and channels. In this guide, we will offer you the opportunity to read about the 5 best SmartDNS service providers for Hulu. In this way, you will be ready to enjoy high quality streaming online, no matter where you are located in the world. Let’s get started, shall we? Unlocator: First off, Unlocator is a great SmartDNS service that has proven its value and reliability over the years. It is based in Denmark and it offers a great plethora of unblocked sites and channels worldwide. The cost is affordable and you do not need to install any type of software for reaching these sites. Since it is fully and utterly compatible with devices and OS, you can rest assured that streaming will not be affected in any way, no matter where you choose to watch your favorite series and films. It includes the SmartVPN feature, which is a wonderful addition in cases where SmartDNS does not work. Last but definitely not least, help and support is stellar. Unlocator is one of the best services for unblocking Hulu and other US based channels, for sure. Smart DNS Proxy: Smart DNS Proxy has been running its business from 1995, having been well established in the market. You can test out their services, as they offer a generous 15-day free trial and 30-day full money refund guarantee. The cost is affordable, too. So, you do not need to worry if you are getting the best value for money, because you are. There is thorough help and support, as well as informative setup guides and helpful representatives eager to enlighten you. The company is based in Seychelles, as a part of Global Stealth Inc. and is certainly a trustworthy option for you to keep in mind. OverPlay: If you are looking for a reliable US company that provides SmartDNS services at reasonable prices, OverPlay is one of the best you can find. With unrestricted access to all the channels you have wanted to access – including Hulu, of course – and with great affordability, you should look no further. No matter which device and OS you use at the time, in a jiffy you will be able to unblock hundreds of channels and you will not even need to worry about technical details. They not only offer SmartDNS services, but they also allow you to combine them with VPN, in order to enhance online security. Smarty DNS: With a plethora of unblocked channels from US and UK, Germany, Poland and Canada, Smarty DNS is a reliable company of SmartDNS services. So, it is perfect for unblocking Hulu. There is a free trial and a full money refund guarantee, which can add to the overall value of the services provided. Without losing any speed or lacking in performance quality, Smarty DNS can deliver great content. It is easy to setup and use, fully compatible with every device and with wonderful help and support. For what you seek, this is a solid option to take into consideration. Unotelly: Unotelly is a Canadian company, offering SmartDNS services at inexpensive price rates and with a wonderful variety of unblocked channels (more than 300 in total). Of course, there is the option of combining VPN and SmartDNS – but even with the simple SmartDNS service, the result will be great. You may get prompt and efficient help and support, which is always one of the major things to consider. Unotelly is compatible with all devices and is really easy to use. 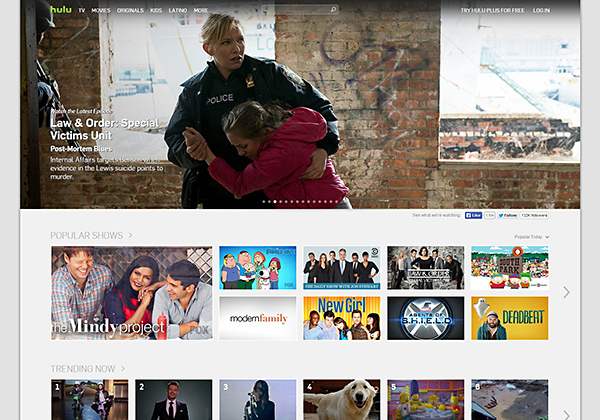 The site is great to navigate and you will start enjoying Hulu and other unblocked channels within moments. Now that we have finished highlighting the 5 best SmartDNS service providers for unblocking Hulu, we can go ahead with stating which the benefits of using SmartDNS actually are. Instead of using VPN, you can choose SmartDNS for an easy way to unblock GEO-IP restricted content. Even though there is no encryption involved and some people say that online security is not boosted, the truth is that live streaming remains unaffected in speed and quality. This in turn leads to great live streaming and no lack of speed throughout the broadcast. It is also more affordable than the VPN and it is fully compatible with each and every device and OS. It does not require any technical knowledge on your behalf and it can unblock channels in a jiffy. No matter which of the SmartDNS service provider you select to use, have fun unblocking Hulu and enjoy great live streaming. This is a wonderful service that can help you out towards gaining access not only to Hulu, but to a whole network of channels that were previously out of reach to you. Take advantage of the benefits that SmartDNS has got to offer!